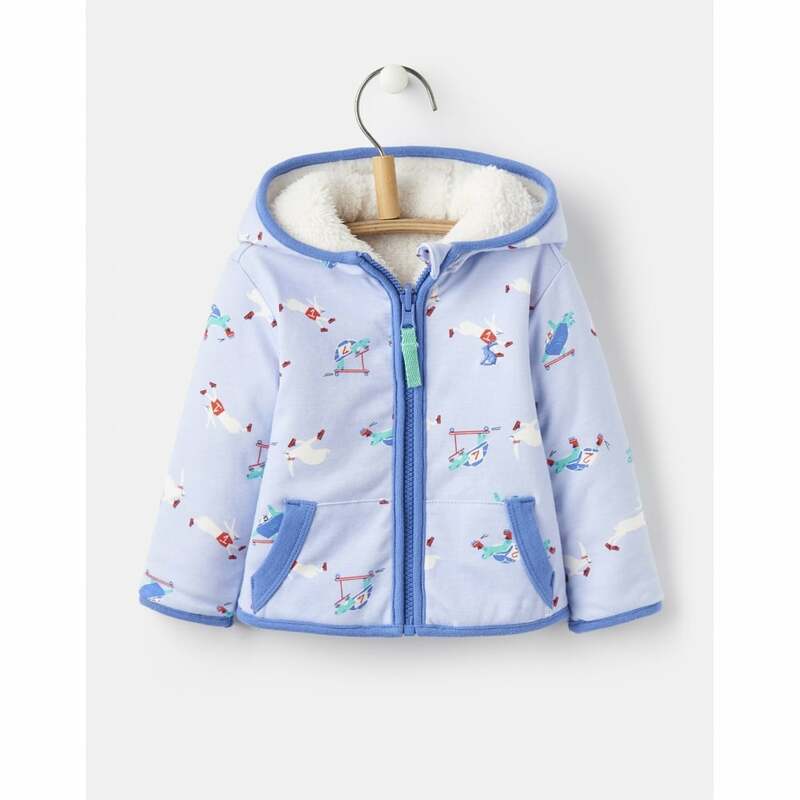 Perfect for keeping your little one warm and cosy until the weather gets warmer the Baby James fleece gives you the option to wear a cool blue printed fleece or plain cream. Complete with hood to keep them extra cosy and a zip up front. This is the perfect fleece for transitioning through the seasons in style.